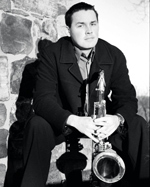 Billed as “Top Shelf” by one jazz club owner, saxophonist Jonathan Lorentz plays with a sound that is warm in tone and rich in melodic complexity. 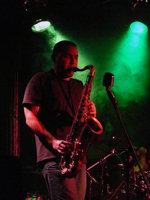 Recently relocated to the Lakes Region of New Hampshire from New York, he is a daring improviser that blends modern jazz with blues, rock, and the avant-garde. Jonathan has performed at Radio City Music Hall, CBGB's, The Bitter End, The Cutting Room, and at various venues throughout the northeast. His performances have taken him from New York to Virginia, Washington DC, and on tours in New England, Nova Scotia and Costa Rica.